This page contains the collection of AWS Interview Questions and Answers / Frequently Asked Questions (FAQs) under category AWS. These questions are collected from various resources like informative websites, forums, blogs, discussion boards including Wikipedia. These listed questions can surely help in preparing for AWS interview or job. 1) What is Amazon EC2 service? Ans: EC2 uses Xen virtualization. Each virtual machine, called an “instance”. You can use Amazon EC2 to launch as many or as couple of virtual servers as you need, design security and networking, and manage storage. 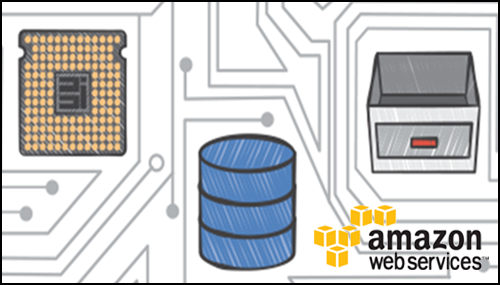 Amazon EC2 empowers you to scale up or down to handle changes in requirements. 2) What is Amazon Machine Image (AMI)? Ans: An Amazon Machine Image (AMI) is a template that contains a software configuration (for example, an operating system, an application server, and applications). From an AMI, we launch an instance, which is a copy of the AMI running as a virtual server in the cloud. We can launch multiple instances of an AMI. 3) What is the relation between Instance and AMI? Ans: We can launch different types of instances from a single AMI. An instance type essentially determines the hardware of the host computer used for your instance. Each instance type offers different compute and memory capabilities. After we launch an instance, it looks like a traditional host, and we can interact with it as we would any computer. We have complete control of our instances; we can use sudo to run commands that require root privileges. 4) What are the Security Best Practices for Amazon EC2? Ans: There are several best practices for secure Amazon EC2. Following are few of them. 5) Explain Stopping, Starting, and Terminating an Amazon EC2 instance? 6) How to use Amazon SQS? Ans: Amazon SQS is a message passing mechanism that is used for communication between different connectors that are connected with each other. It also acts as a communicator between various components of Amazon. It keeps all the different functional components together. This functionality helps different components to be loosely coupled, and provide an architecture that is more failure resilient system. 7) How buffer is used in Amazon web services? Ans: Buffer is used to make the system more resilient to burst of traffic or load by synchronizing different component. The components always receive and process the requests in unbalanced way. Buffer keeps the balance between different components and makes them work at the same speed to provide faster services. 8) How does cloud computing provides on-demand functionality? 9) What is the difference between scalability and elasticity? 10) What are the different layers of cloud computing? 11) How to secure your data for transport in cloud? These interview questions and answers really helps for job seekers, here we are using SES from AWS to send posts from Best Cardiologist in Hyderabad to his patients. Good collection. It really helps the job seekers. We use SES from AWS to send reports/posts from Oncology Department – Queen’s NRI Hospitals to our patients.